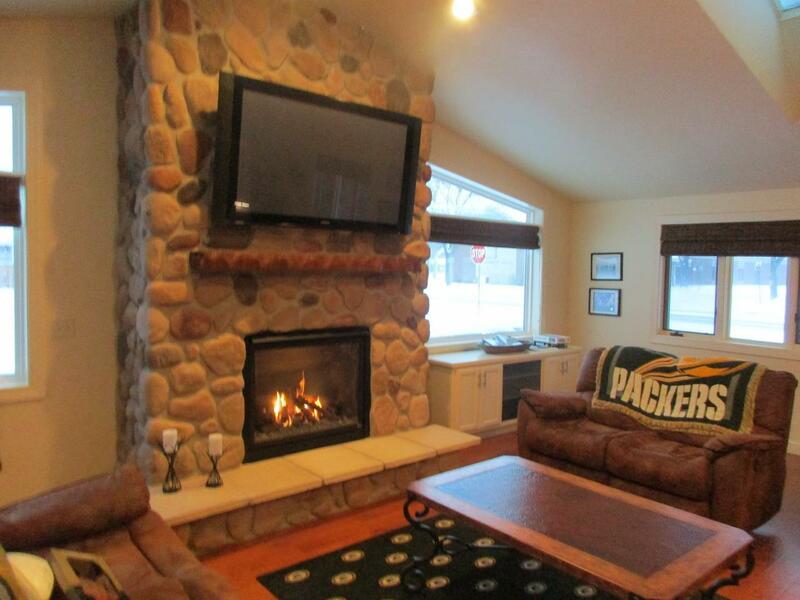 Spectacular Packer Tailgate House, close to the home of the Green Bay Packers-Lambeau Field. Hear the roar of the Packer crowd on game day! 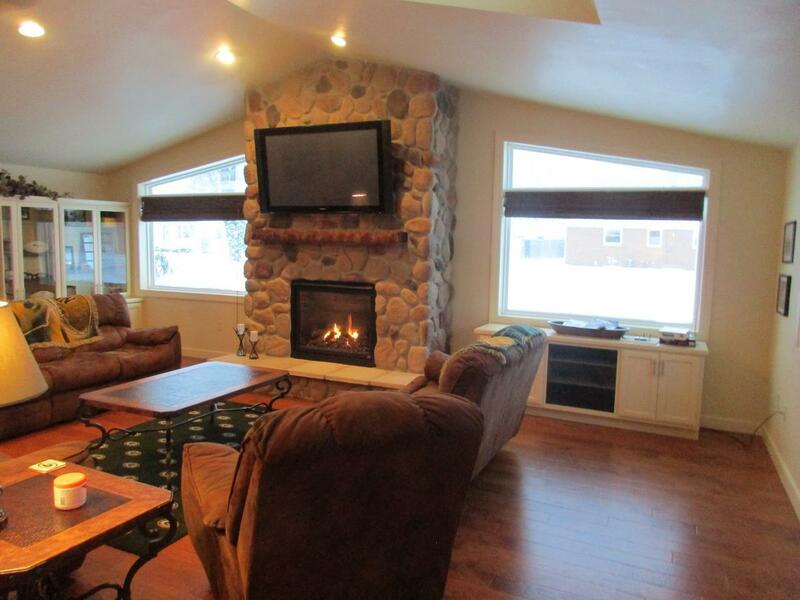 Renovated brk & vinyl ranch w/3 bdrms, 1 bth & approx 2,031 sf & attached garage! Fully applic'd kitch w/granite cntertops & bar refrig w/ice maker. Lrg Great rm w/ gs lg freplce, cathdl ceiling, pool table, lrge screen TV, patio dr to newer concrete patio & built-in Packer display shelves. 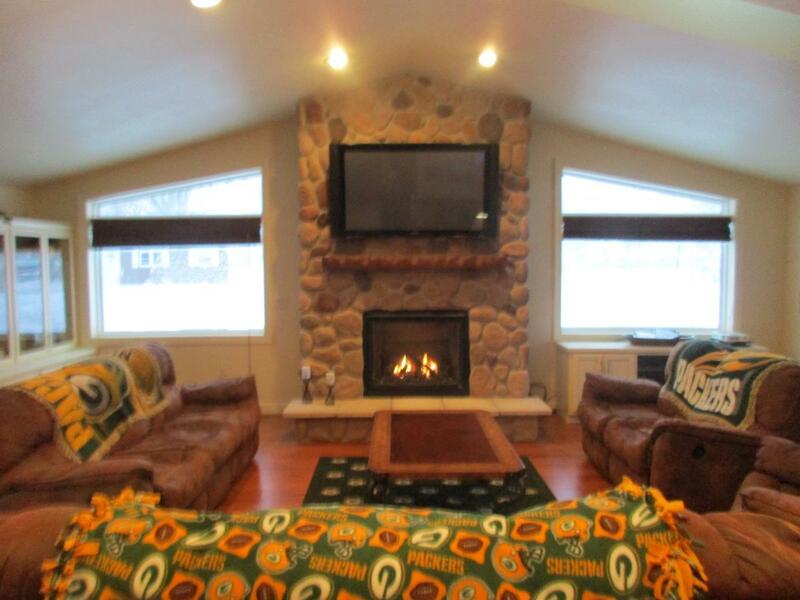 3 bdrms w/Packer themed carpet & flat screen TV's. 1st flr laundry & washer/dryer, privacy fence, bar stools, top of the line furniture. Other rm 8x6 is back entrance.